How Powerful Are Your Thoughts? Hi! Thank you for being here. It is no coincidence that you stumbled across this blog. You are curious about the power of your thoughts. It is interesting, don’t you think, that we make it through 12, or perhaps even 16, years of “traditional” schooling without a single class addressing the power of our thoughts. Yet, thought energy is at the root of everything that “grows” in our reality. Everything that exists in our physical reality starts with a thought seed that reacts with protons and ethereal matter to bring your intention into manifestation. Does that sound unbelievable? Well, 400,000 lbs. of aluminum, steel and titanium in flight also sounds unbelievable but it’s happening! Just because we don’t understand how something works doesn’t negate the fact that it does work. Humans have harnessed a lot of energy and put it to work in various ways. Take your cell phone for example. We don’t all understand, or think about, how it works - but it does. Imagine all the other forces that exist out there that we aren’t even aware of. You, me - everyone - we are all creating with every thought - and resultant feeling - we choose to entertain. To create the life we want, we simply need to learn to direct our thoughts - thoughts that are otherwise randomly, chaotically dancing through our mind. Imagine listening to a conductor-less orchestra. The same goes for a conductor-less mind. Unguided thoughts result in a chaotic mind that randomly creates a lot of unwanted things. Truth is - guiding our thoughts isn’t easy. It is a skill. It takes awareness and practice. Thoughts and beliefs are the most magical tools we “sifters” have. What is a “sifter” you may ask? A “sifter” is an entity, or individual, who is aware of the power of their thoughts and chooses them wisely. That is what my transformative, empowering fantasy - THOUGHTS TO DIE FOR - is all about. Levi Levy is the protagonist of THOUGHTS TO DIE FOR. Levi is a sophomore who is invited to finish high school in a parallel world where he soon learns that he is a “sifter” and that his thoughts are creating his experiences. Levi must learn to control his thoughts if he is to survive in the unpredictable 11th Dimension. This is all compounded by a bullying protagonist who abducts sifters and is determined to control the collective consciousness of all youthful minds. If you have a child who loves to read I highly recommend getting THOUGHTS TO DIE FOR in their hands as early as possible. It will create an awareness of the power of their thoughts early on and positively influence them throughout their life - enabling them to create the kind of life they desire. If you have a child who doesn’t love to read I highly recommend getting THOUGHTS TO DIE FOR in their hands as early as possible because it may just trigger a love of reading as well as enable him/her to create the kind of life they desire. 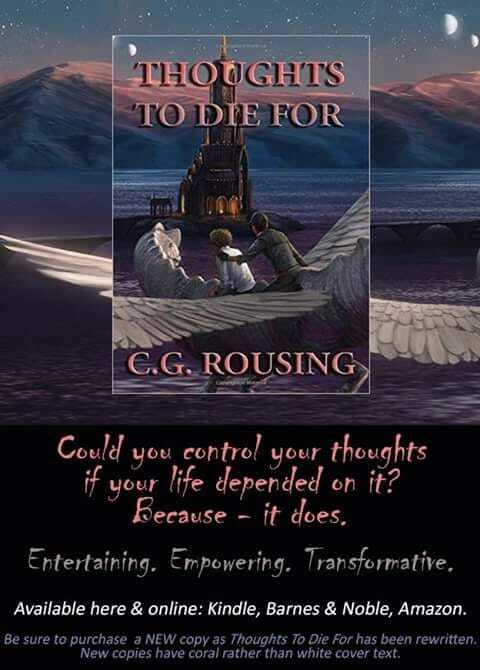 If you are an adult I highly recommend reading THOUGHTS TO DIE FOR - as you are never too old to benefit from the power of your thoughts and - you can teach this to your children! If you are a teacher and would like to introduce THOUGHTS TO DIE FOR to your students please contact me for discounted bulk rates. I look forward to hearing how THOUGHTS TO DIE FOR has changed your perception and understanding of the power within you. Please share your experiences below.